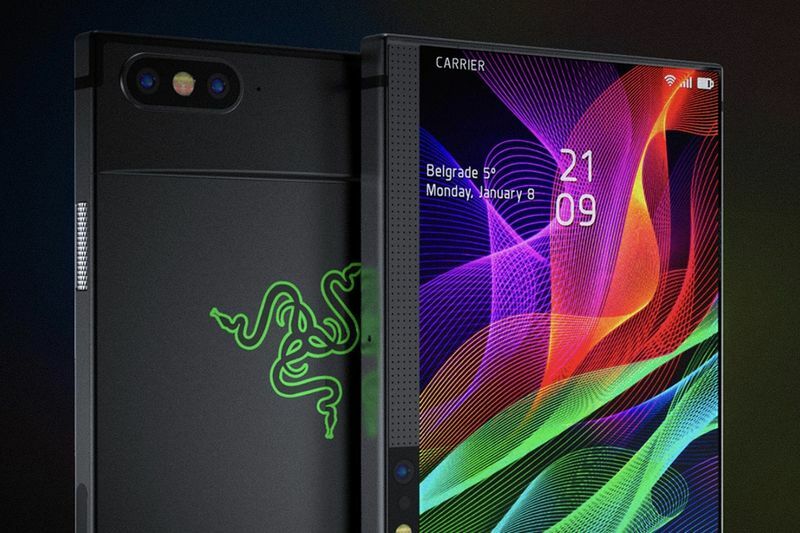 The next generation of the Razer smartphone is highly anticipated, which is why online users are seeing new design concepts like the Razer Phone by Petar Trlajic. This concept design is how the designer envisioned the Razer Phone 2.0, and the phone features a larger and wider screen, seeing as it is a smartphone for gamers, the screen is definitely an essential part. Finished in Matt Black, this gaming phone concept features a Snapdragon 845 (Adreno 630 GPU) processor with a capacity of 256GB and internal RAM of 8GB. The display of the Razer phone has a 6,6-inch display, ultra-widescreen with 21:9 aspect ratio of 2650x1080p resolution. The back of the phone features two flat edges just like other Razer product lines. There are purists out there who will still prefer the thin-flip style of the original Razer phone, but they might also be enticed by the 2.0’s equally clickable screen. This is a gamer’s Razer and the concept is packed with loads of features ideal for powering through your favourite strategy or action adventures. Check out the specs by browsing the gallery or simply watching the video.